Have you ever play Minecraft? If you say yes and you like it, you will be interested in Skincraft as well. Skincraft is a great skin creator made by Michael Swain. 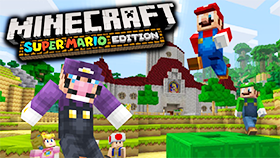 With this game, you can create many different characters to play in Minecraft. When you first play the game, you need to select the background setting for your skin. It depends on your choice, may be a water world, huge castle or even a beautiful sunset. After that, you can design different parts of your character. Then, he game will ask you to select your character’s skin. There are six types of skin, namely Minecraft Guy, skin 3, skin 2, skin 1, robot, and blank for your choice. Then a box will appear. You need to use some tools on the box: new layer, copy selection, delete selection, etc to make a new person that looks anyone you like. The game allows you to change the head first, then the body, the arm and the leg as well. You can create the eyes, nose, ears and also add more accessories such as hats, glasses to make your character beautiful. You can also edit the color of your character in red, yellow, green, black or even orange – just following your favourite ideas. 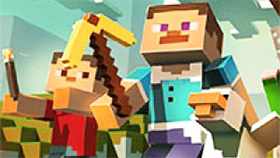 Let’s creativity work and see how special your Minecraft characters would be! Also, this game has four options: import skin, new skin, load data, and view uploads. If you want, you can look at several skins from the option view uploads to see the skins created by other users. Skincraft now can be available on Freegames66.com and you can play Skincraft in your browser without paying any cost. Also, this game allows people to play on their mobile phone, in both Android and IOS devices. You can use the mouse to choose the items for your characters. If you cannot create new character by yourself, you can see some characters in Minecraft and mimic their appearance. It is much more interesting when inviting your friends to play and you can compare to choose the most creative characters. Skincraft is a wonderful crafting game. 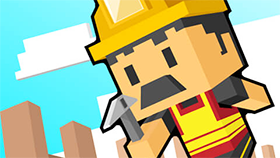 Try out the unblocked version of the game now!